10/6/2011Share this story on Facebook! Or, read about 17 "IC Foodies,"alumni who opened their own restaurants and eateries in Ithaca. 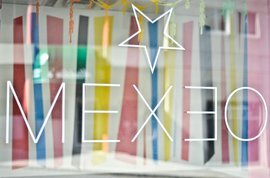 Instantly upon walking into Mexeo Restaurant in Collegetown, customers are greeted by a burst of vibrantly colored walls and the aroma of fresh Mexican food. 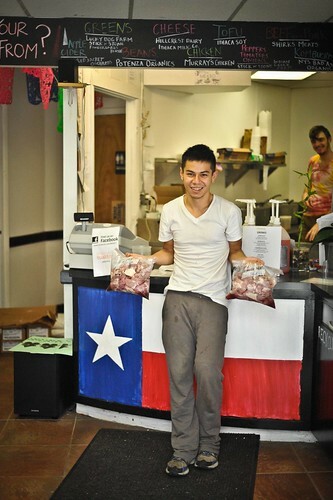 Chances are, regardless of what time customers stop in, they’ll find owner Sebastian Villa behind the counter. Villa graduated from Ithaca College with an art history degree in 2007. Because he had no set plan, Villa started working in a restaurant. Having worked in restaurants since he was 16, the business was familiar to him. He had a knack for food service, he says, so Villa decided to open his own restaurant in 2009. Mexeo is known for its uniquely Texan-inspired Mexican food, modeled off of food from Villa’s hometown. But Mexeo was not always Mexeo. Originally, it was a Vietnamese restaurant. A few months ago, it moved down the street to its current location, so the business could expand into a larger venue. Villa says he likes to change things up and try different menus to see what fits. Villa prides himself on using only natural, local ingredients. 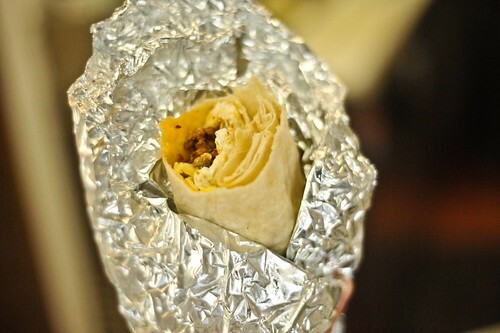 The staff prepares food fresh every day, and Mexeo is the first restaurant in the city of Ithaca to use exclusively local meat. 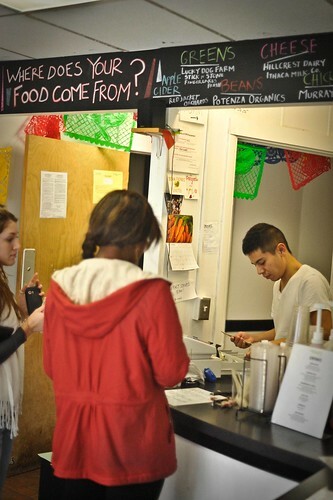 Mexeo is located on Dryden Road, in the heart of Cornell’s Collegetown. As a result, most of the customers are local college students walking around the area. While an art history major might not seem like good preparation for running a restaurant, Villa is able to bring out his artistic side in the vibrant design of his restaurant. The white walls are covered with bright yellow, red, green, and blue geometric shapes. The diverse menu is written on a chalkboard above and around the counter. Villa says his time at IC taught him vital skills for his future. During his four years, Villa was the president of two clubs on campus – IC Triple Threat and IC Players. As president, he learned valuable business skills like managing budgets. “It’s good to at least experience that and learn from it,” he says. Villa says he is unclear about the specifics of the future, but he is excited about the potential.